Mesa County has one of the highest suicide rates in the nation, and most suicides in our area are from gunshot wounds. 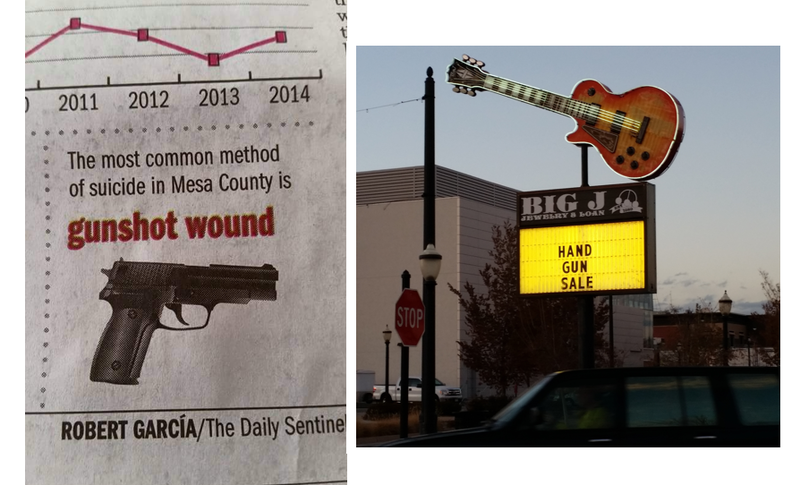 The above photos show how the local gun culture contributes to this situation. If the most common method of suicide in Mesa County was arson, would hardware stores put their blow torches on sale?